The Butcher’s Bridge is sinking down to the depths for now. 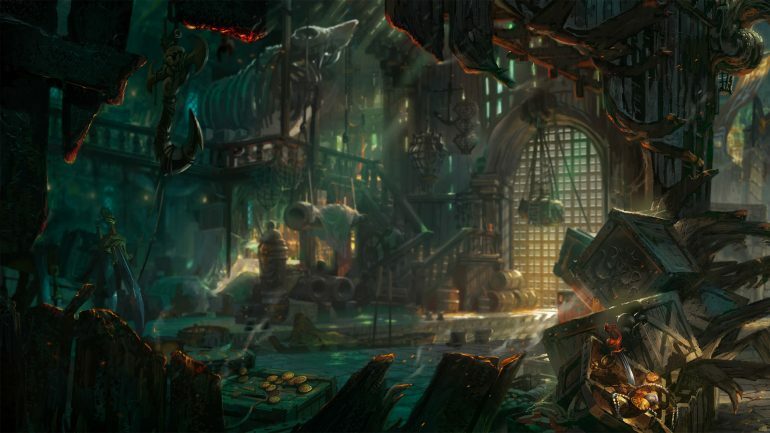 Hopefully all you League of Legends fans got your pirate-themed ARAM fix because Patch 9.8 marks the end of the Back to Bilgewater event. That means the Butcher’s Bridge map will be heading out of rotation, with the Howling Abyss making a return. Additionally, some of the big changes Riot Games tested out this patch will be either removed or kept in the game based on player feedback. Let’s dive into the changes that are getting a watery grave and the others that are living to see another day. Two of the newest ARAM-only items—Mariner’s Vengeance and Ghostwalkers—will be removed from the item shop when the upcoming patch drops. The brand-new Backtrack summoner spell will also be removed. After a lot of discussion and player feedback, the ARAM ban system will not be making into Patch 9.8. There were plenty of opinions on how banning affected the quality of games in ARAM, but the system is taking a step back for now. Meanwhile, the changes to Warmog’s will be kept in the game mode. The item will now grant health regen based on missing health instead of max health. The rune adjustments made back in Patch 9.7 will also be kept as a permanent change. The minion spawn increase is also being kept as a permanent feature to keep games from lagging on for too long. In case you missed it, the new feature made minion spawn rates and movement speed increase at a linear rate at the 15-minute mark. The newly-introduced poke reduction will also be kept in the game mode as well and will be effective from 1,000 units away. Lastly, champions will be receiving balance changes in ARAM every few months. Head out to Howling Abyss and try out the now-permanent features of ARAM when the patch drops.